(TibetanReview.net, May24, 2018) – The equestrian team from Tibet Autonomous Region was crowned the team champions after a fierce competition in the 2018 National Equestrian Eventing Championships held recently in Tianjin, reported China’s online Tibet news service eng.tibet.cn May 23. The report said Tibetan riders Benpa Tsering and Kelsang Phuntsok were selected for the national team in the 2018 Asian Games to be held in Jakarta, Indonesia. It added that Tibetan riders Tashi and Tenzin Norden had finished fourth and sixth respectively in their individual matches. 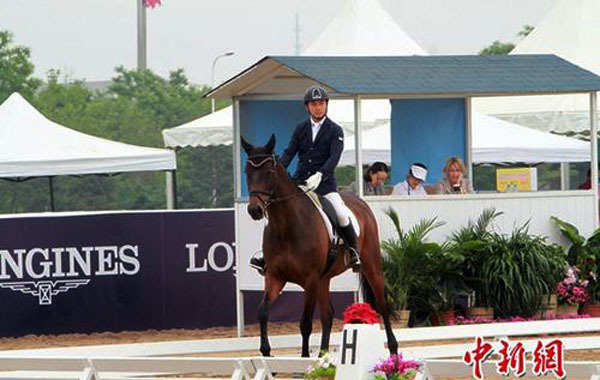 The report said the National Equestrian Eventing Championship was currently the highest level equestrian competition in the People’s Republic of China. The competition level of the event was stated to be designed according to the International Equestrian Federation’s one-star level.